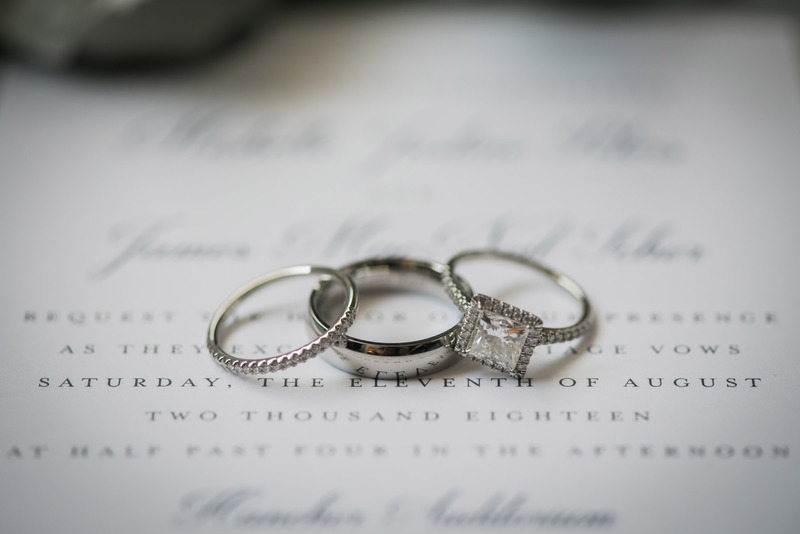 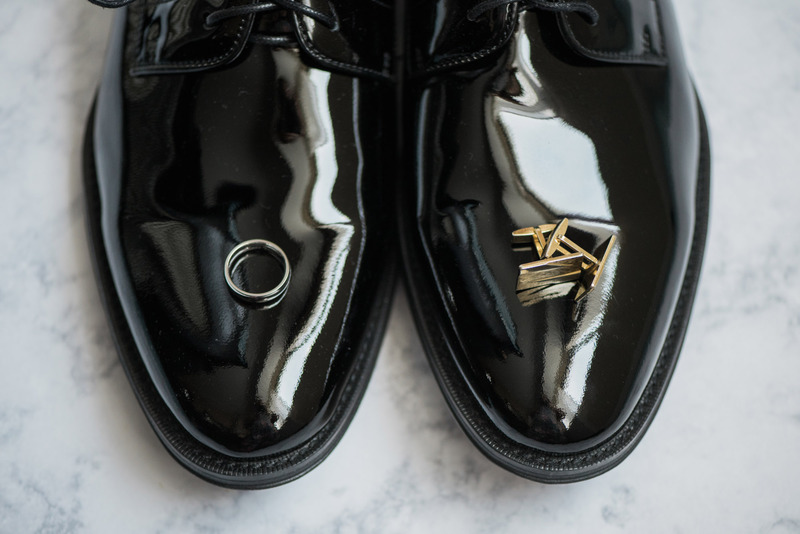 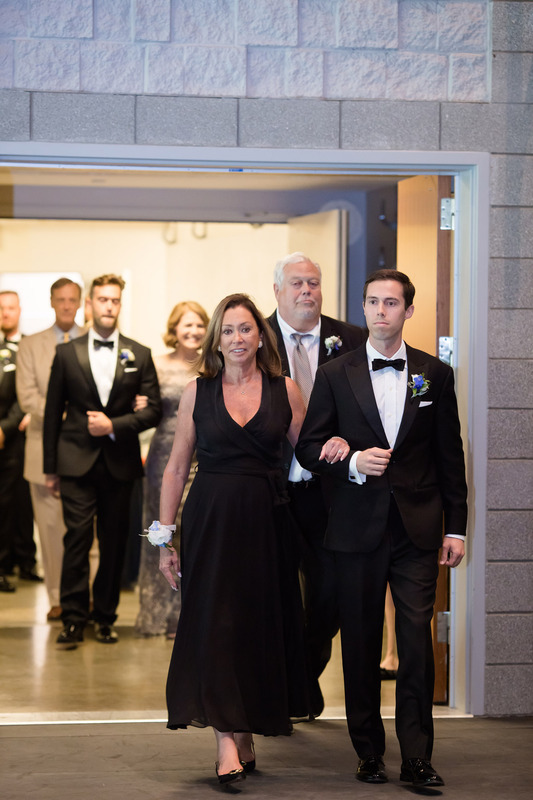 Picture this: as the couple kissed for the first time as husband and wife, Ray LaMontagne’s “You Are The Best Thing” started playing as they walked back up the aisle. 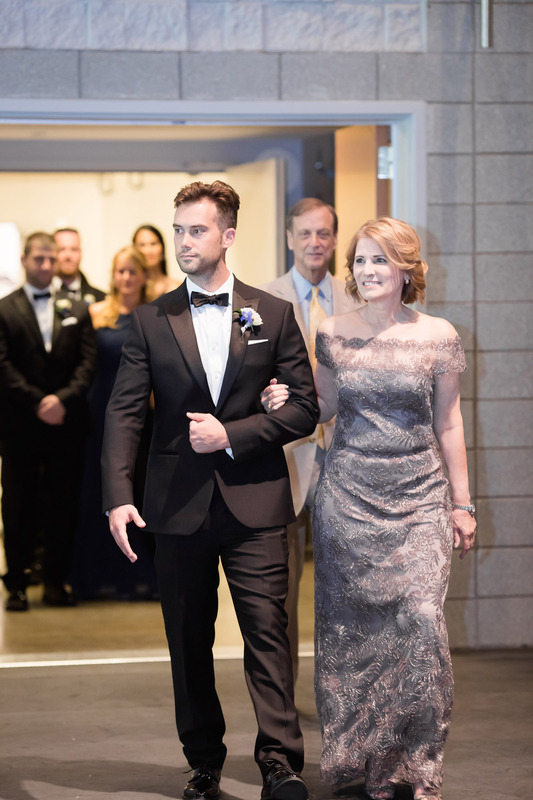 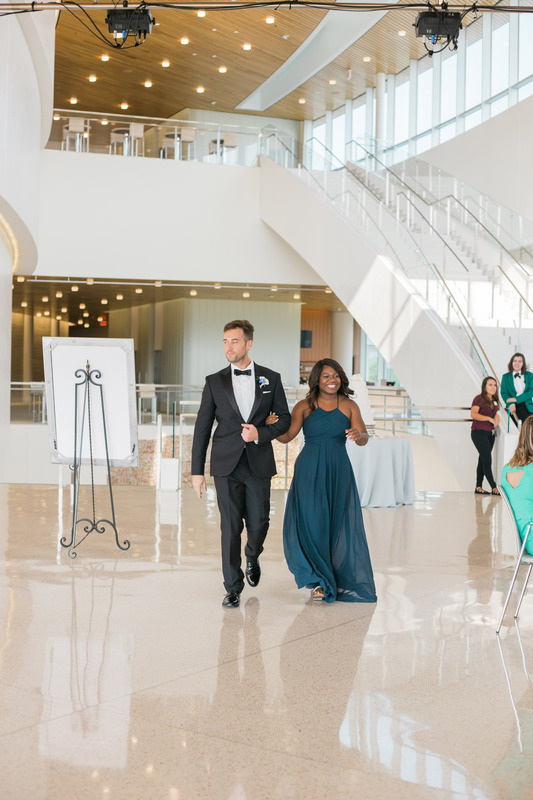 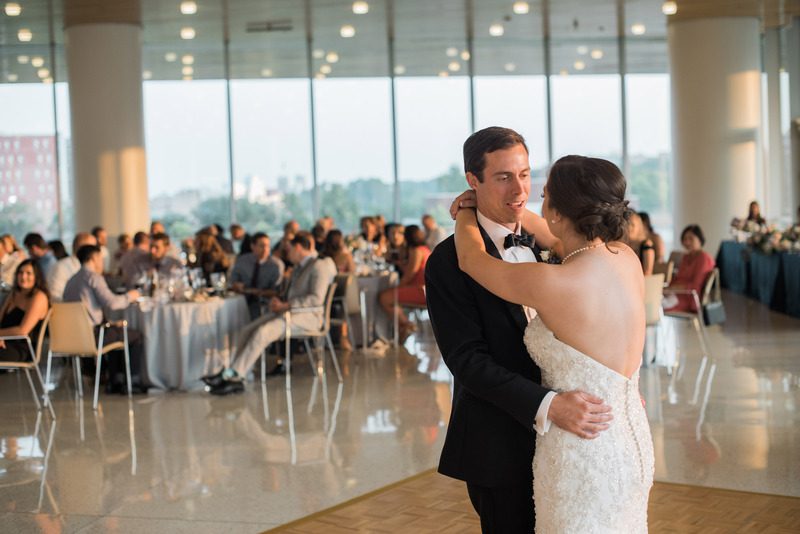 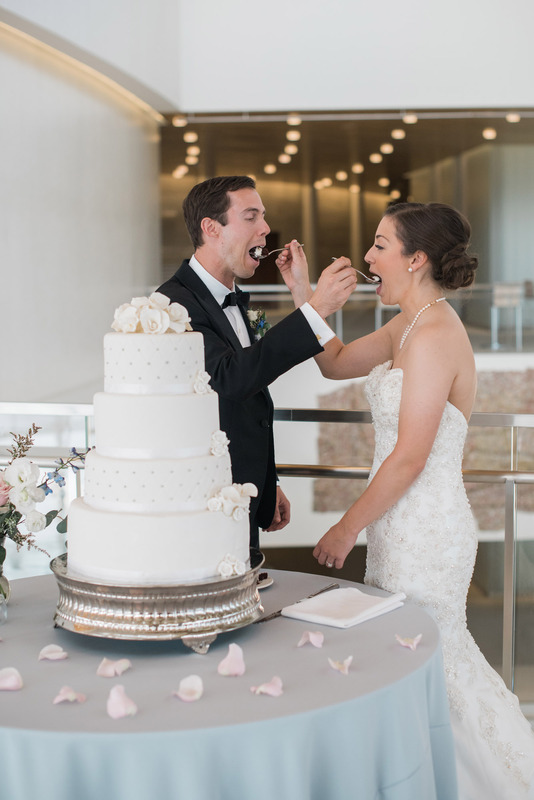 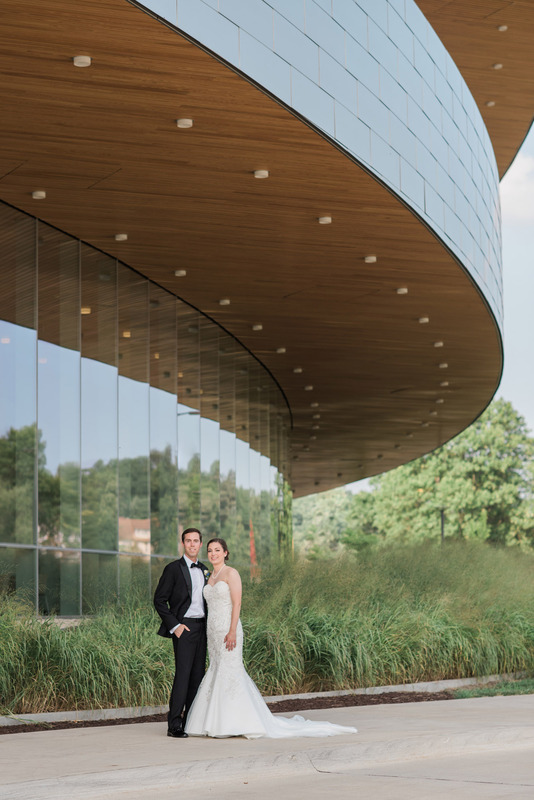 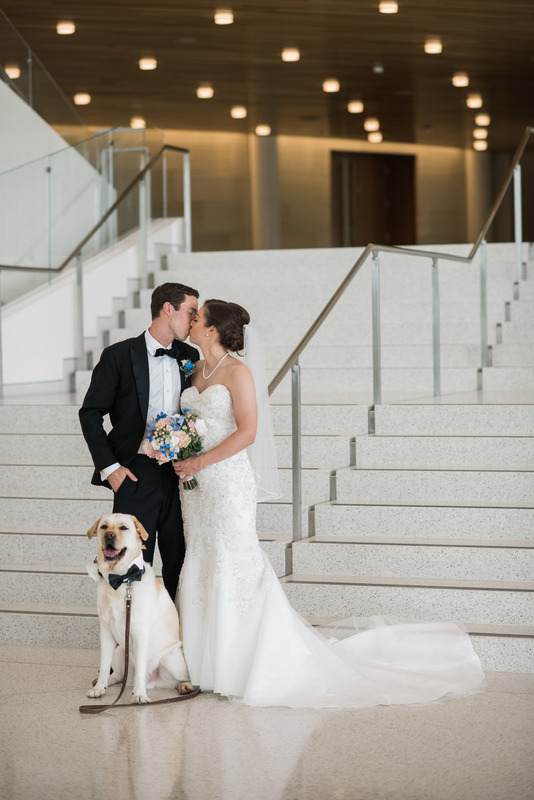 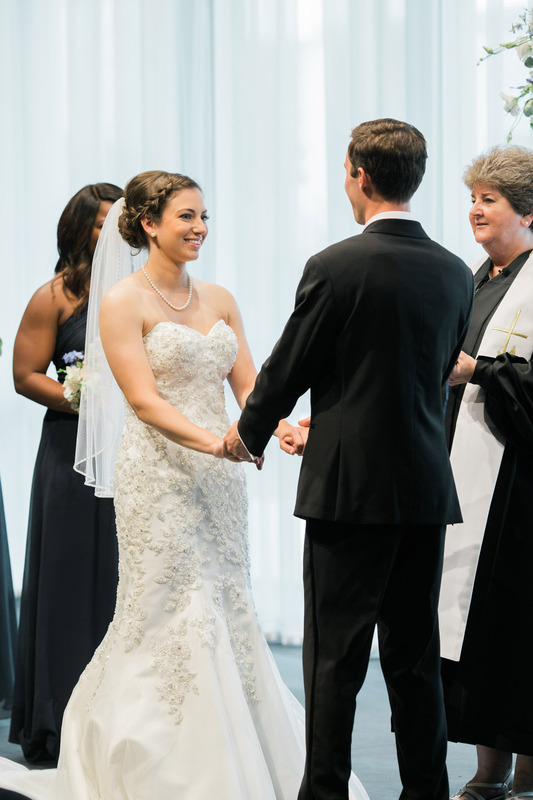 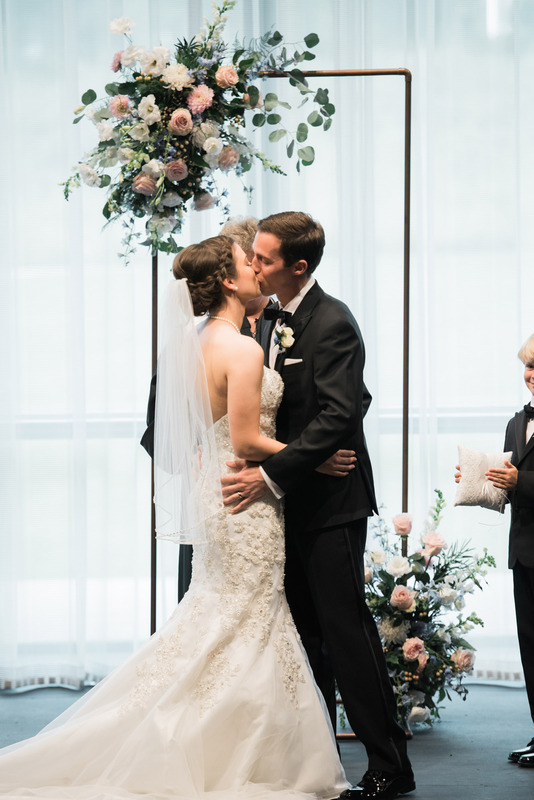 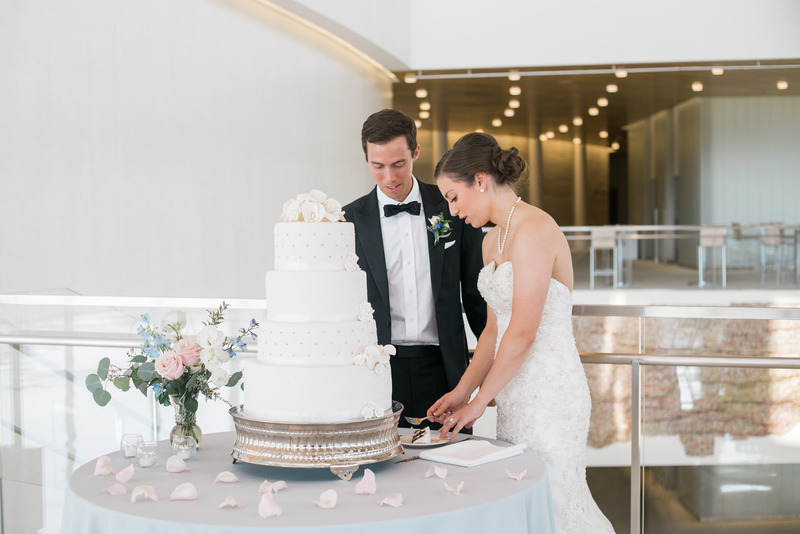 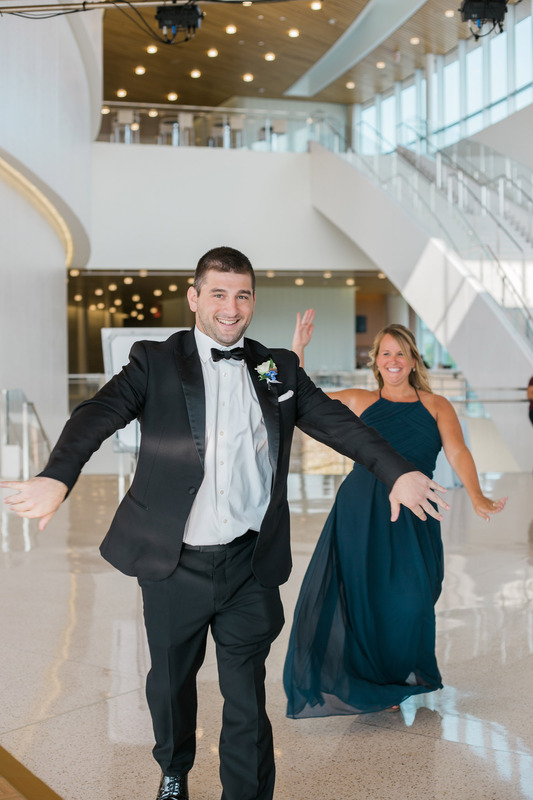 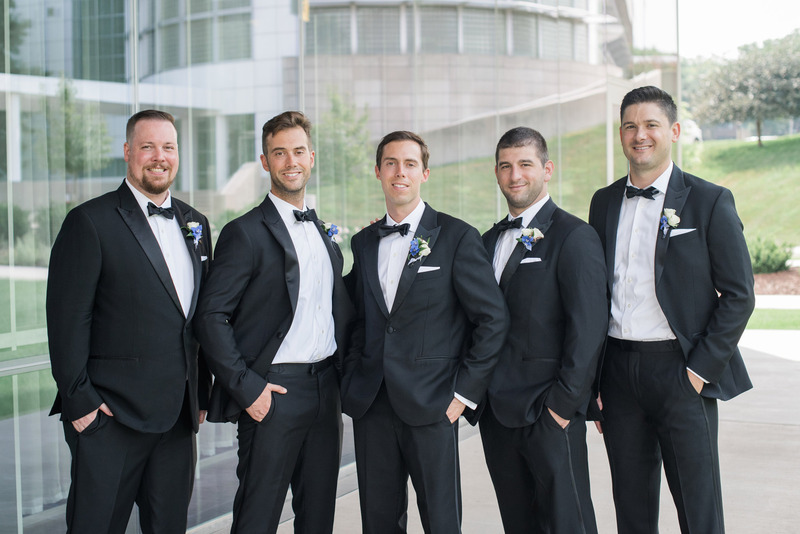 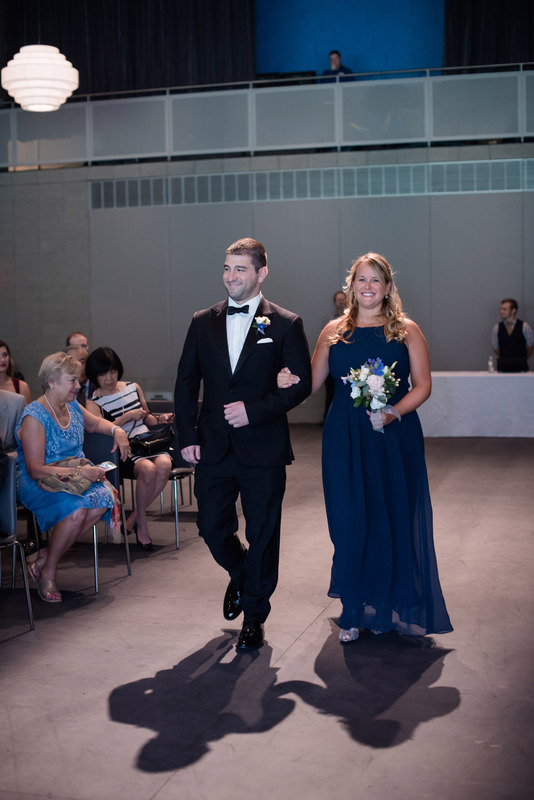 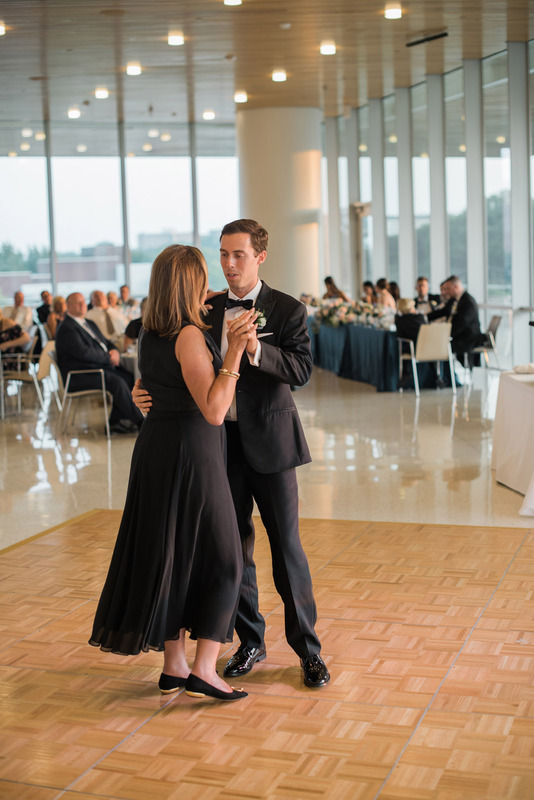 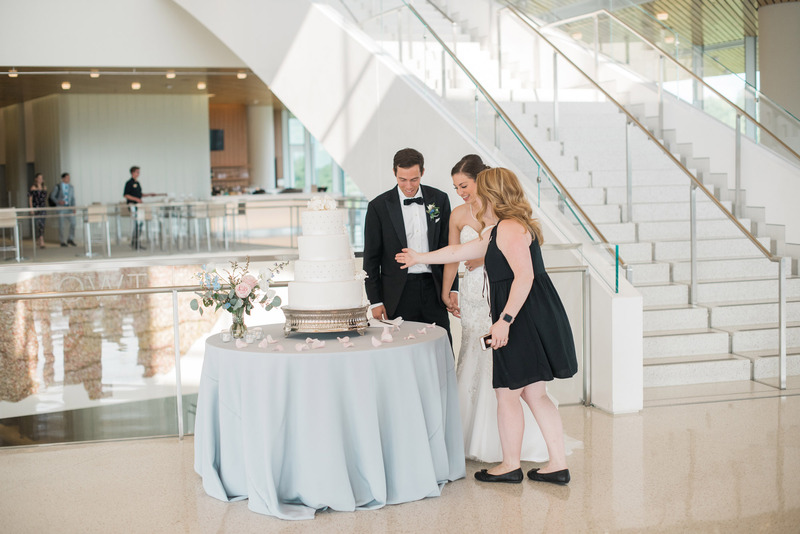 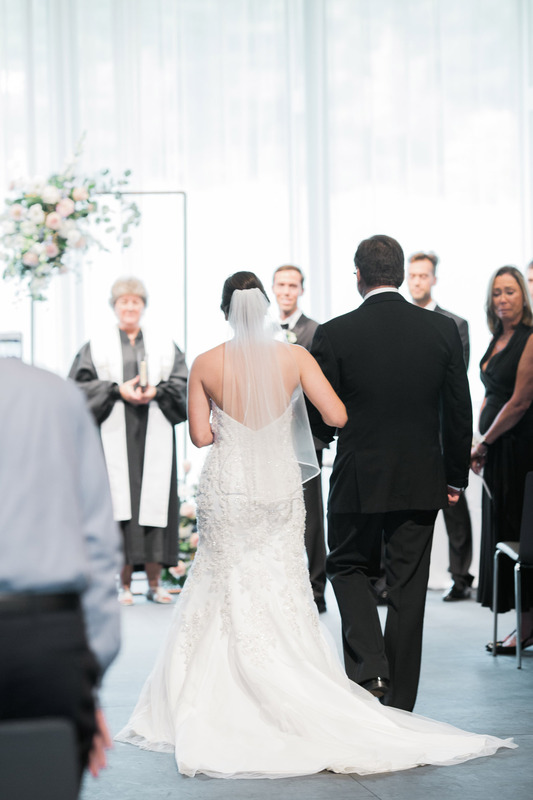 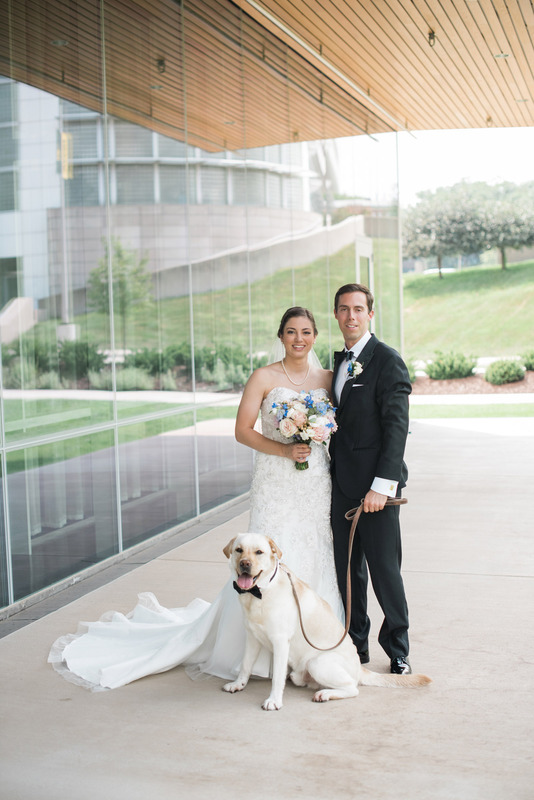 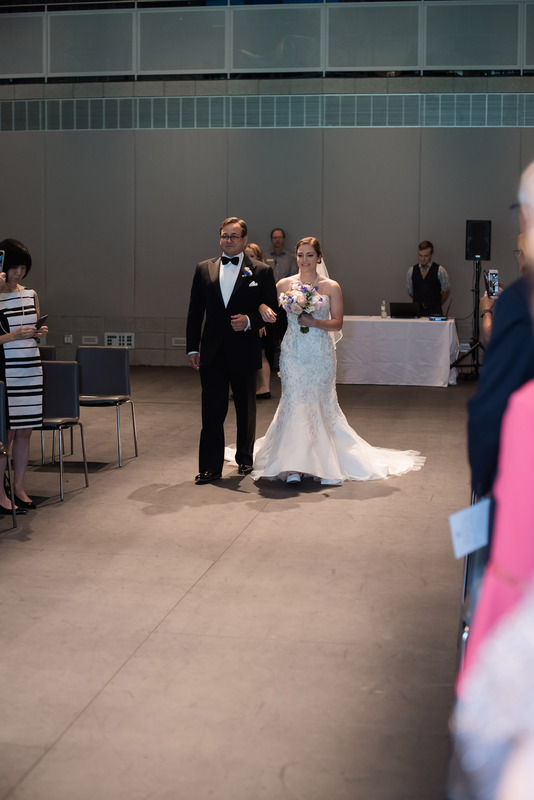 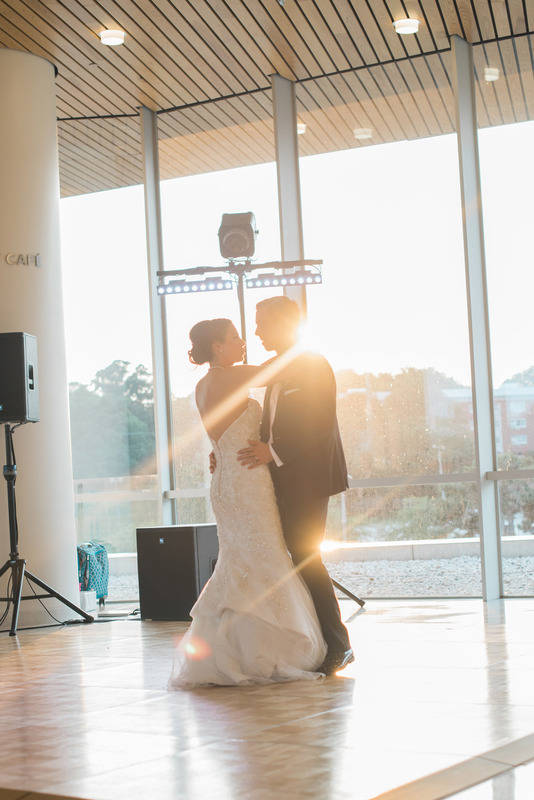 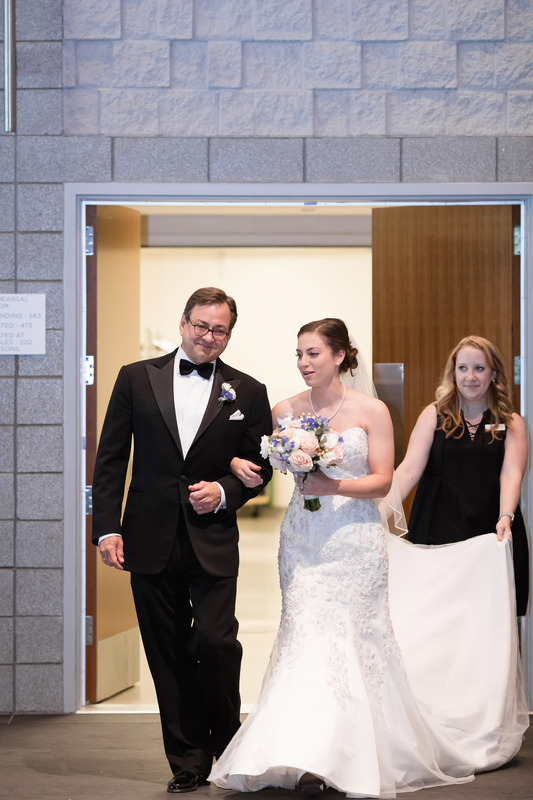 What better place for Michelle and James to tie the knot than one of the most beautiful places on the University of Iowa’s campus, Hancher Auditorium. 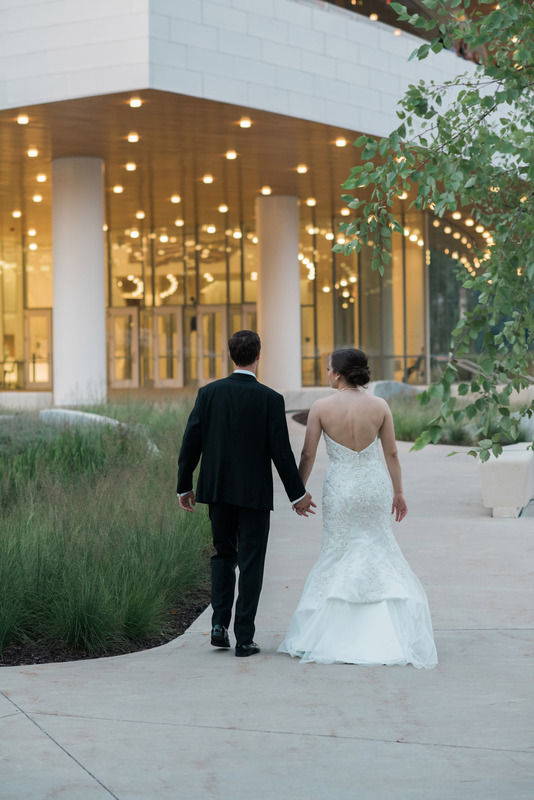 The ceremony was held in Strauss Hall which overlooks a beautiful piece of landscape. 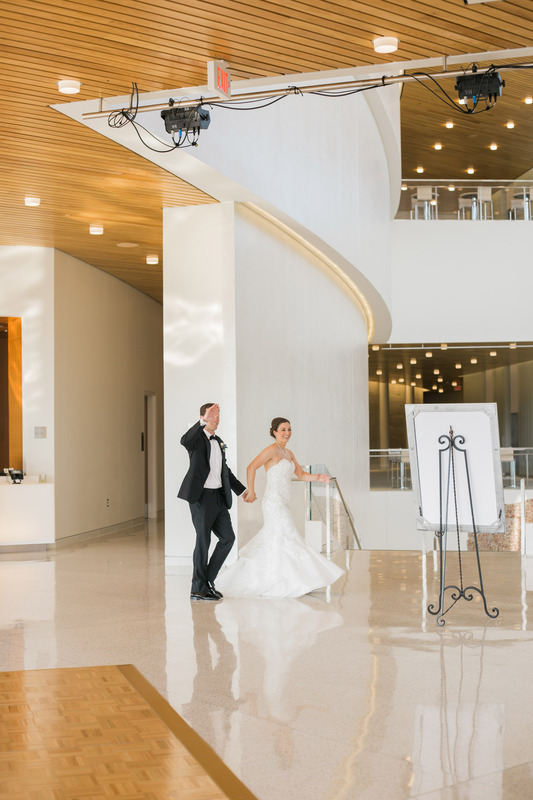 Following the ceremony, their guests moved to the Second-Floor Cafe for their reception and cocktail hour. 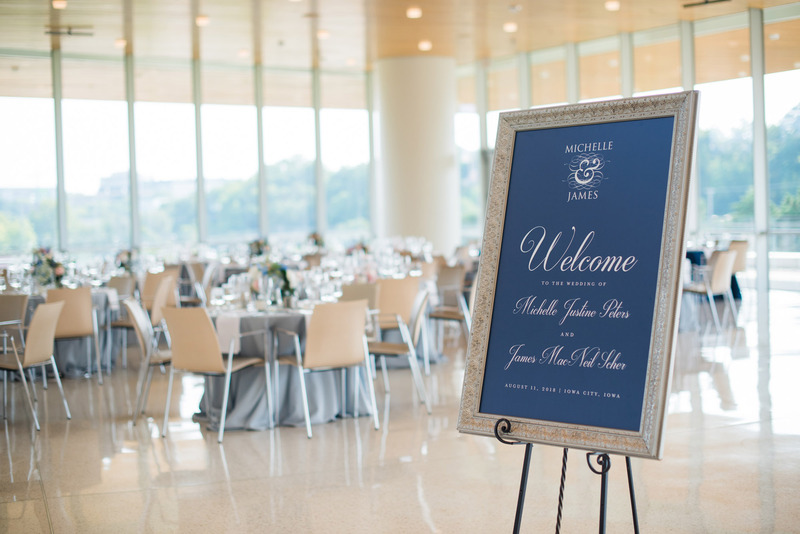 Michelle is completing her oral surgeon residency and James is in engineering school, so the couple is very busy. 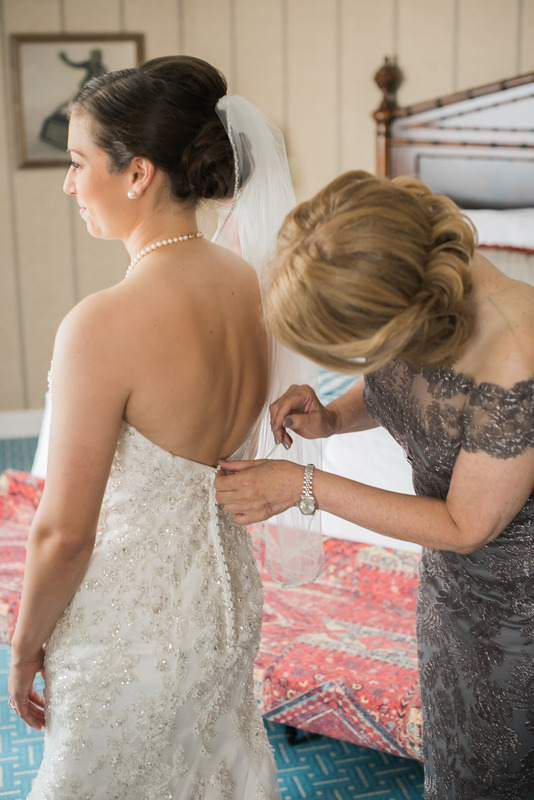 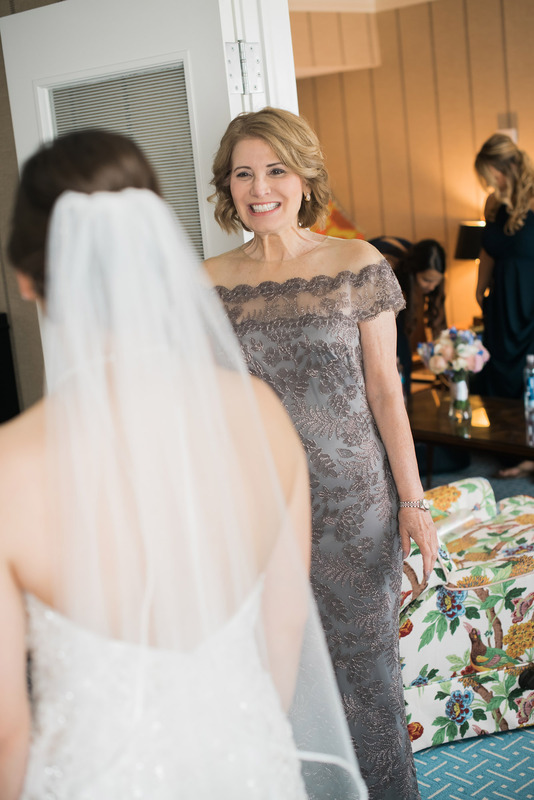 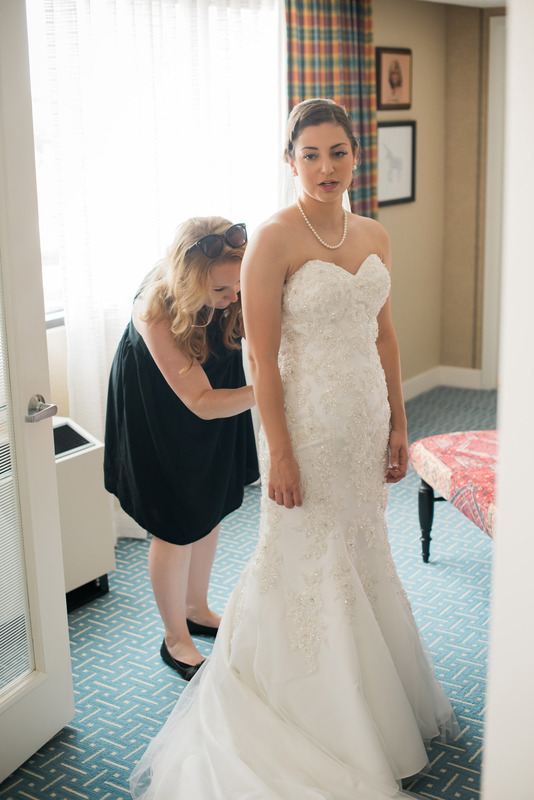 Since their schedules are so hectic, Michelle’s mom, Rosemary, was a huge help in facilitating this beautiful wedding. 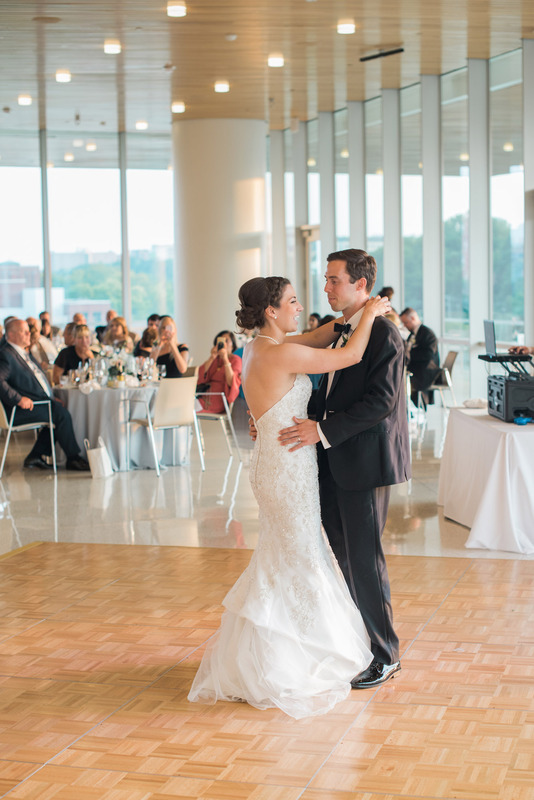 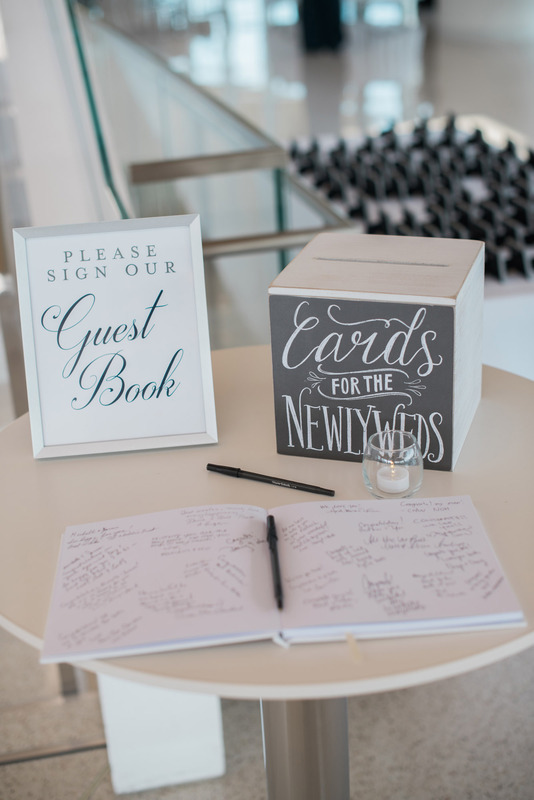 The couple chose to hire Soiree for a Partial Planning Package. 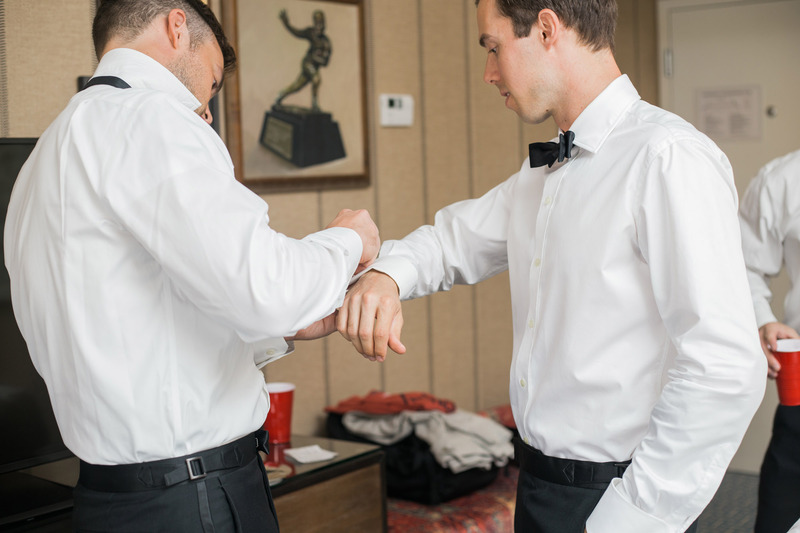 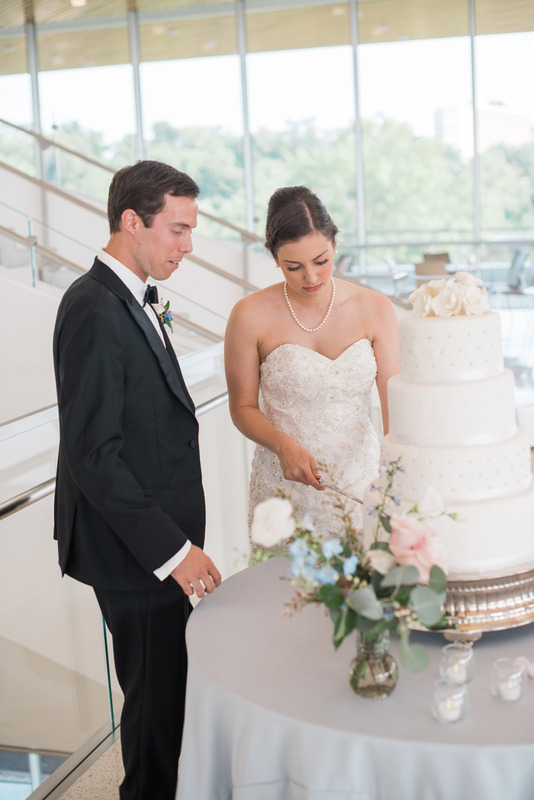 We were able to tie loose ends together and make many recommendations for their wedding plans through lots of scheduling and organization. 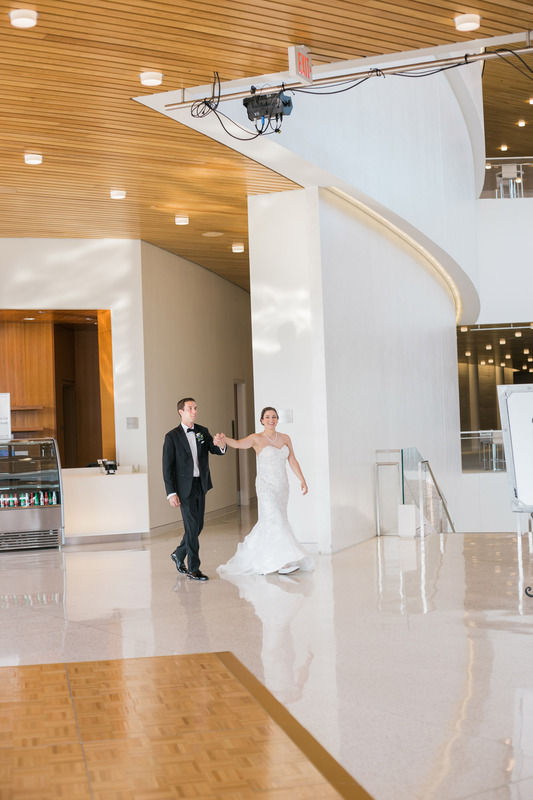 We looked forward to each and every client meeting, which made the planning process such a joy. 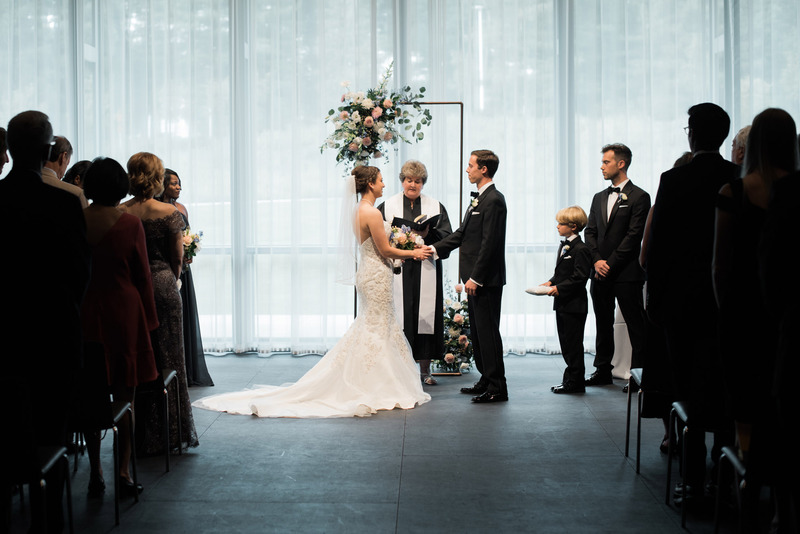 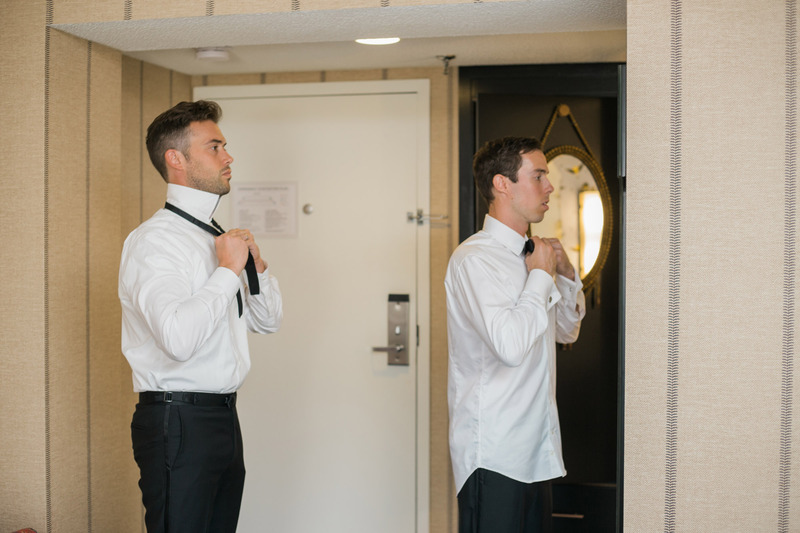 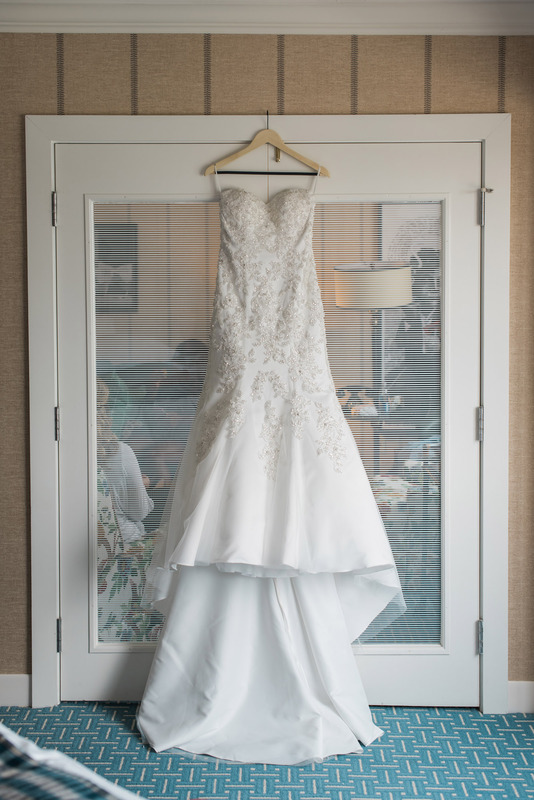 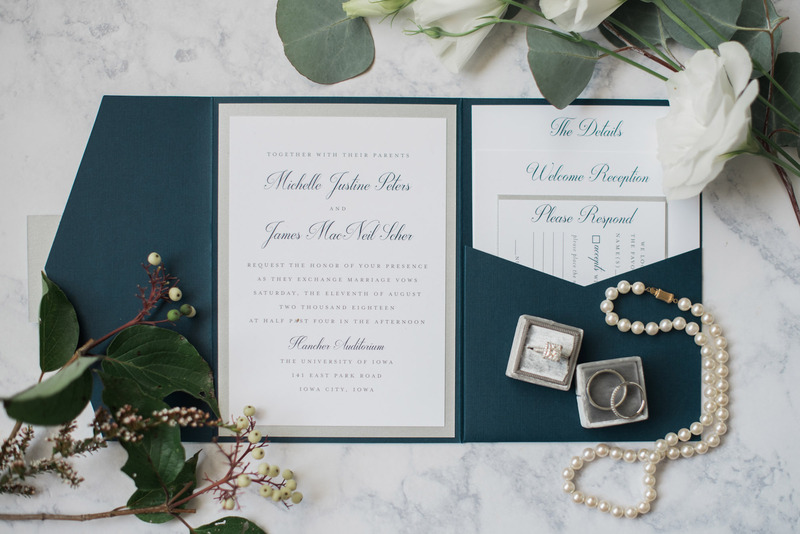 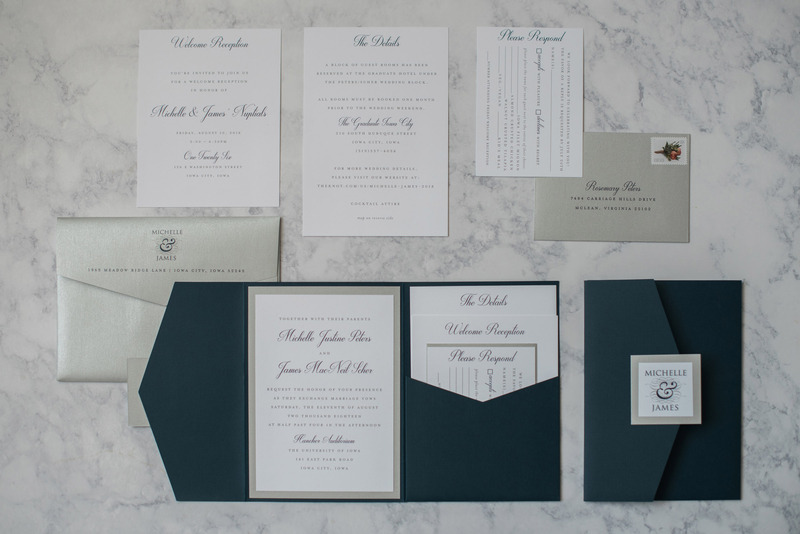 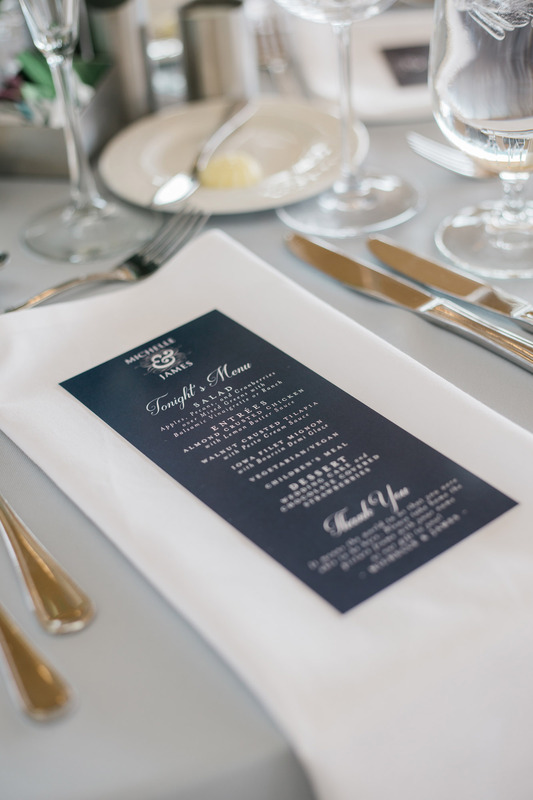 After bringing all the details together, we made their visions come to life for their special day. 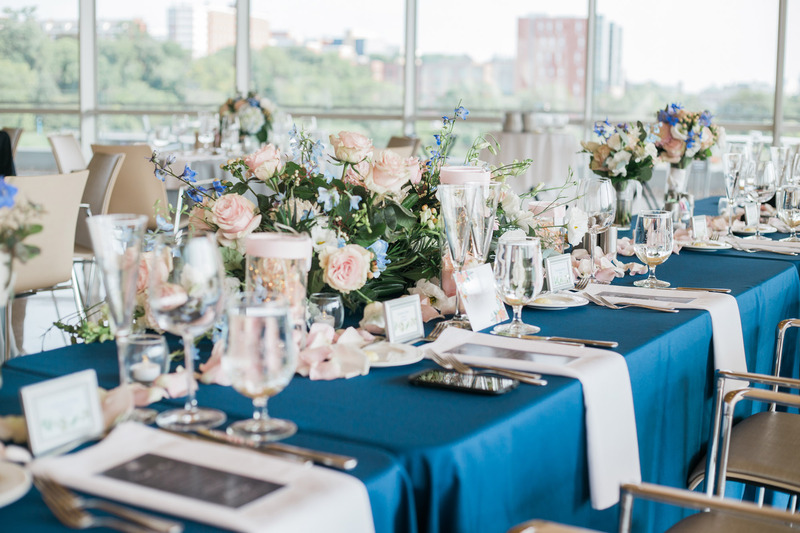 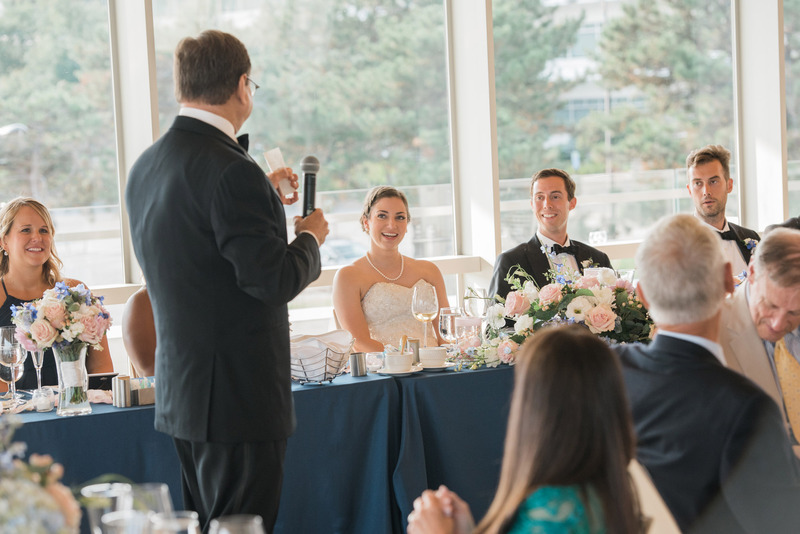 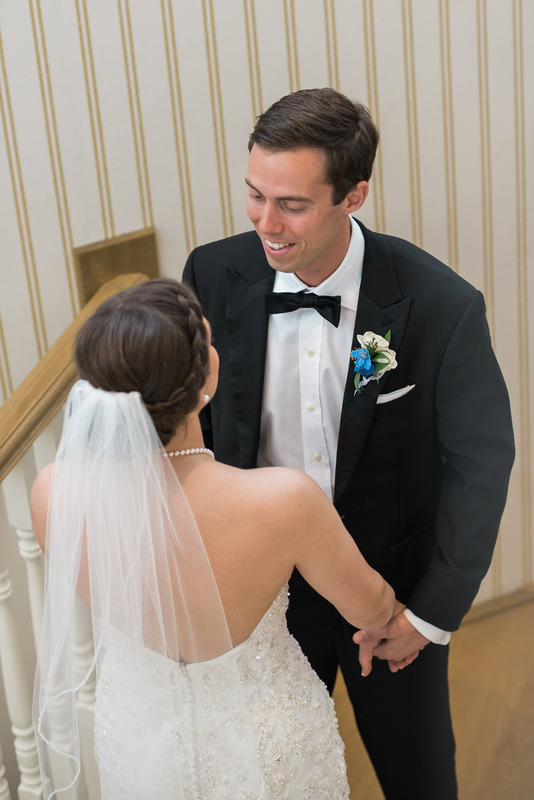 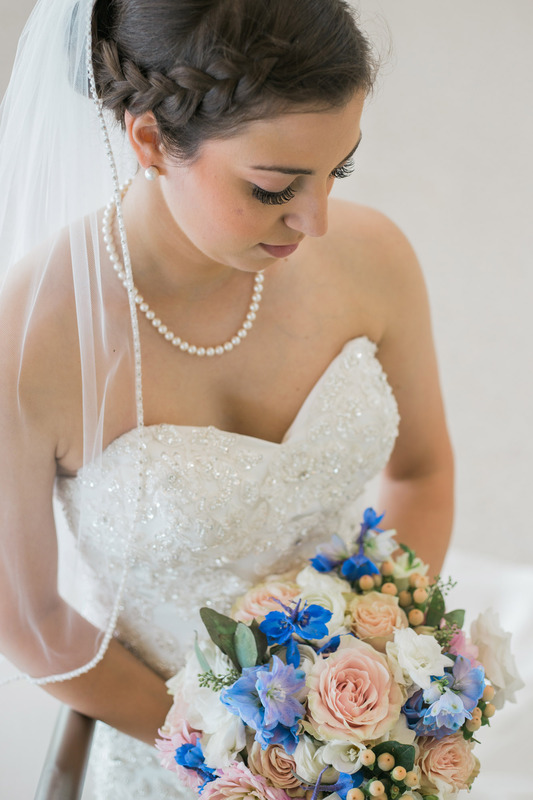 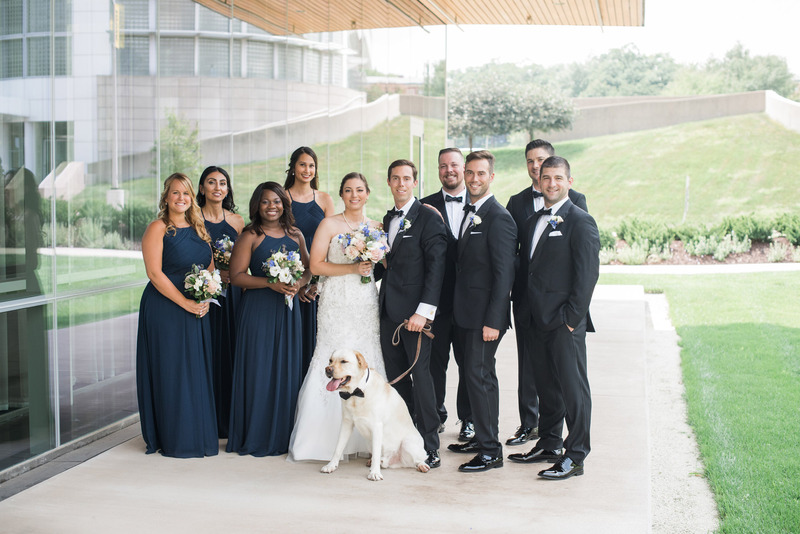 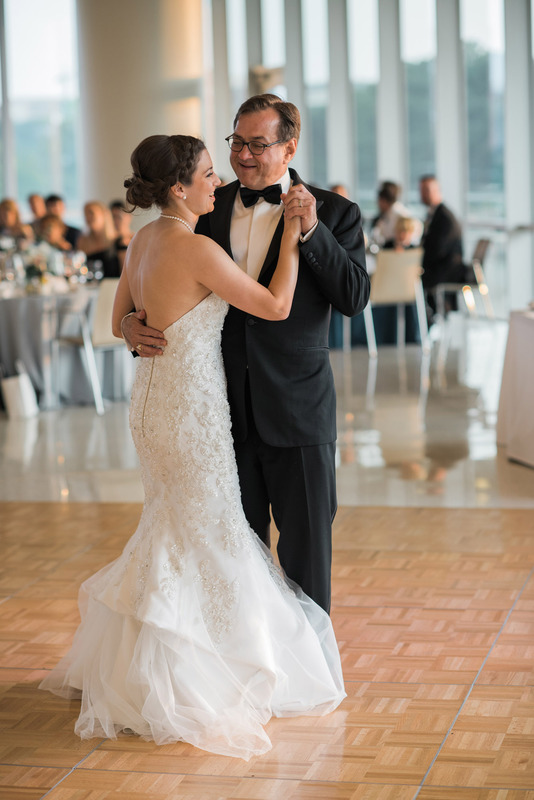 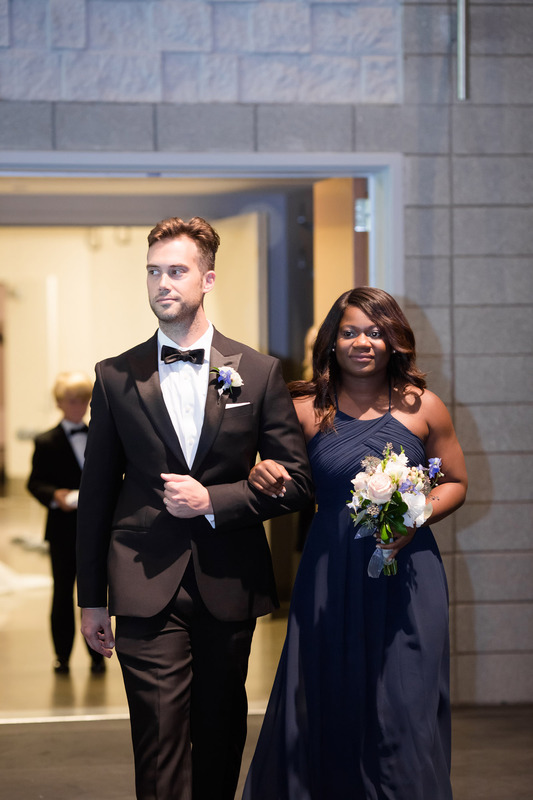 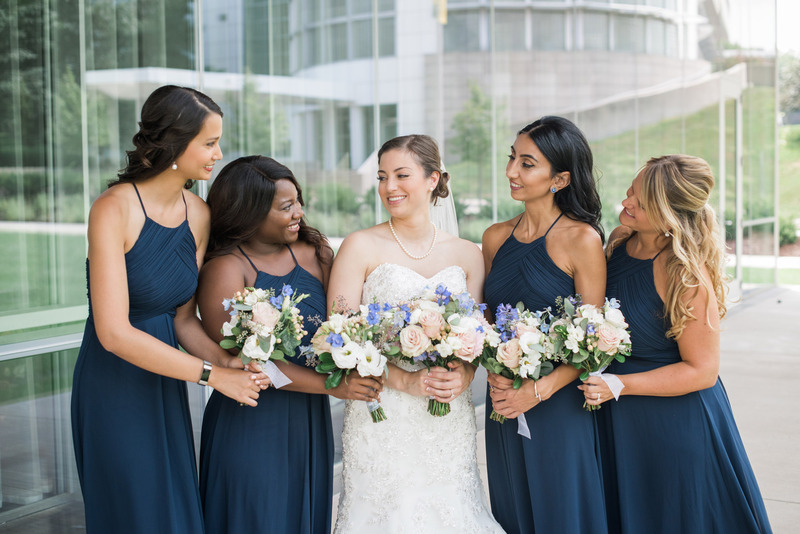 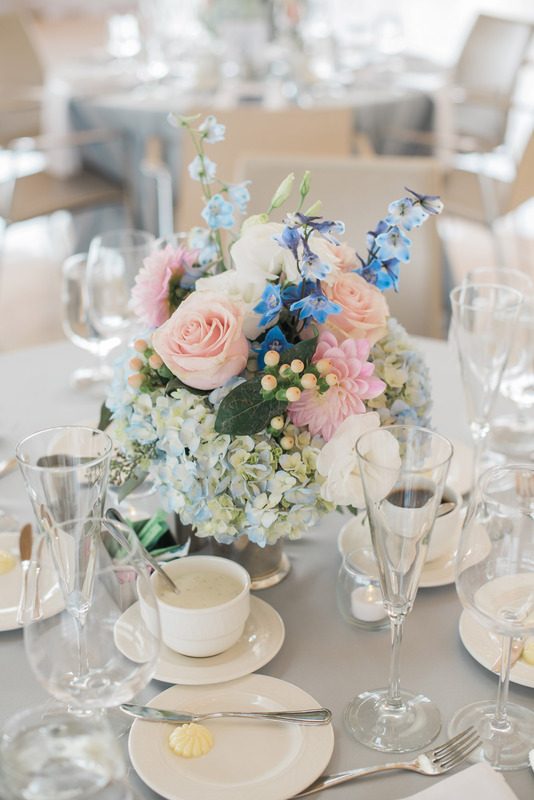 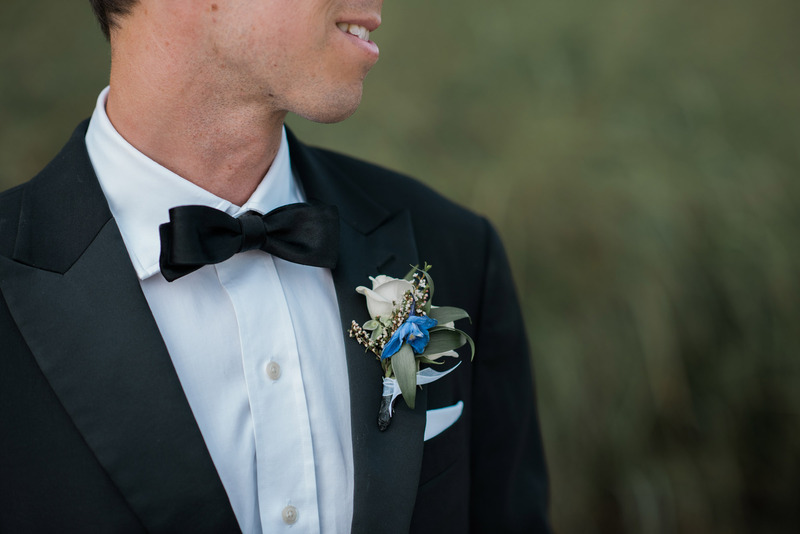 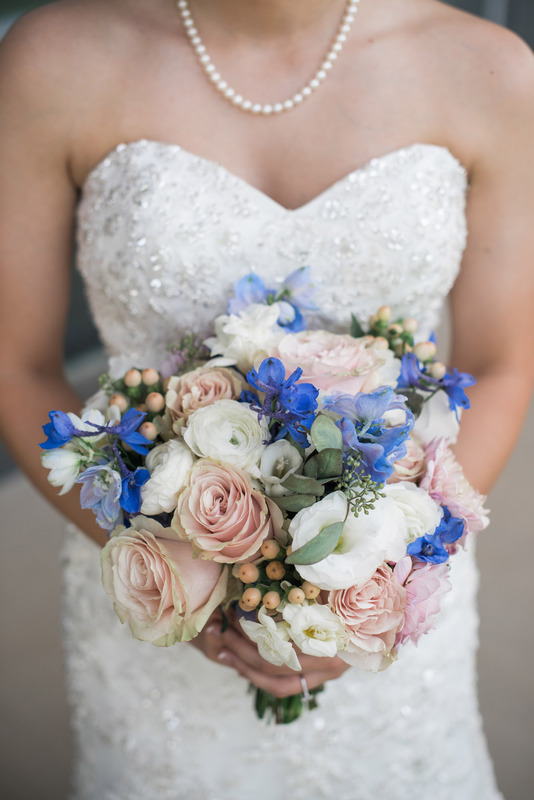 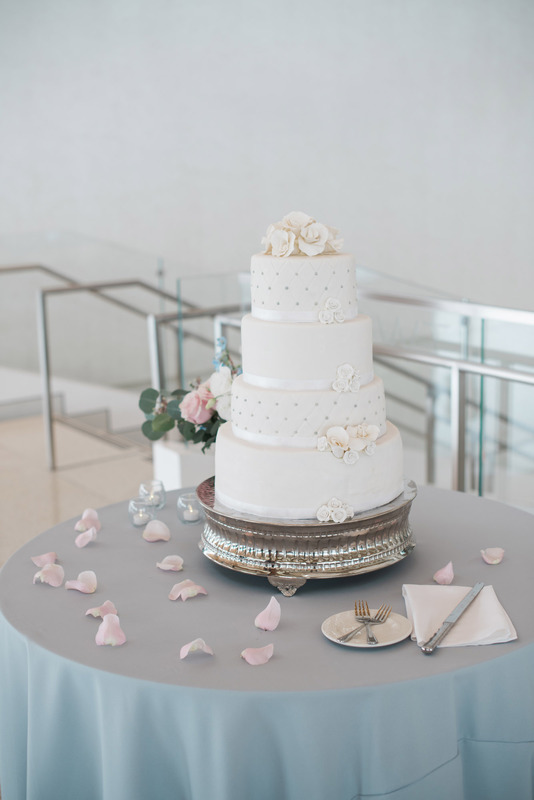 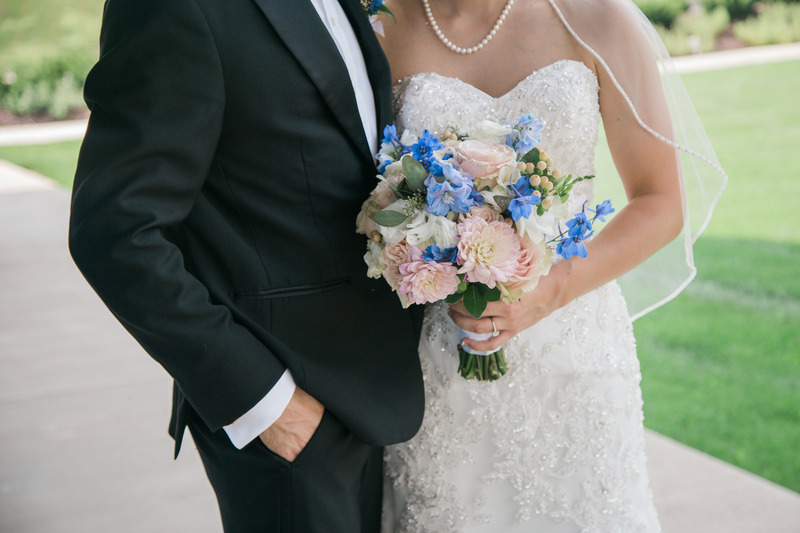 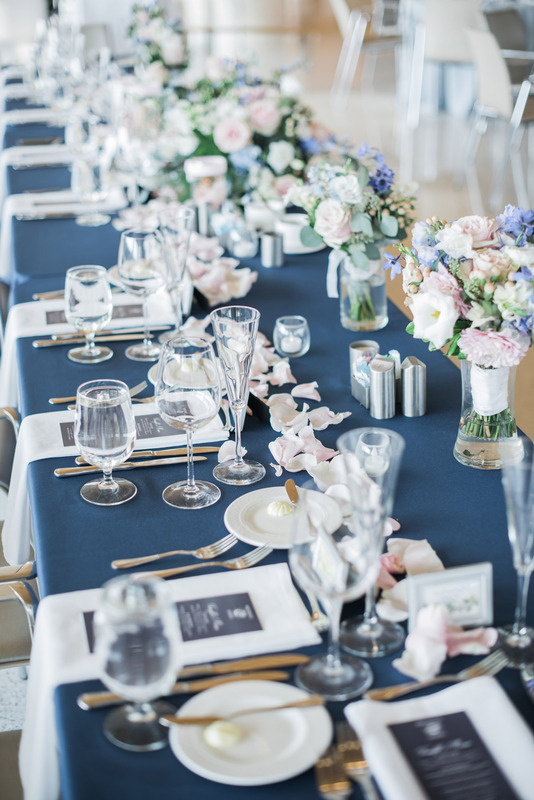 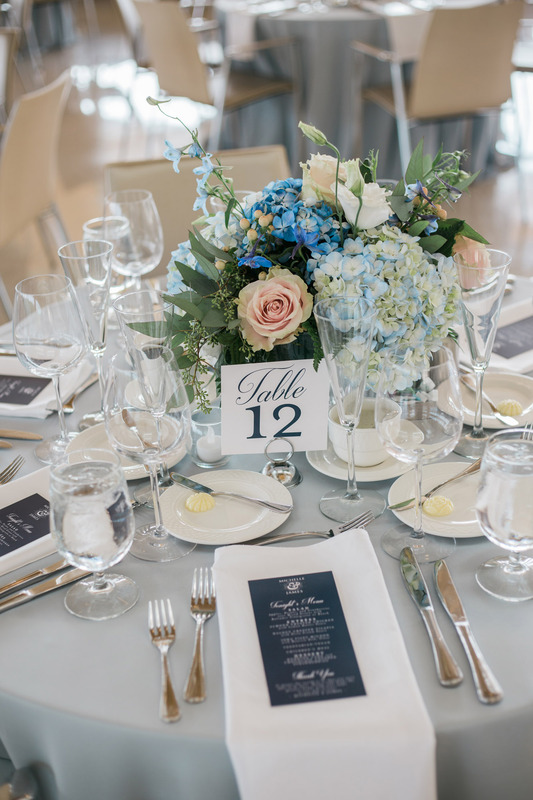 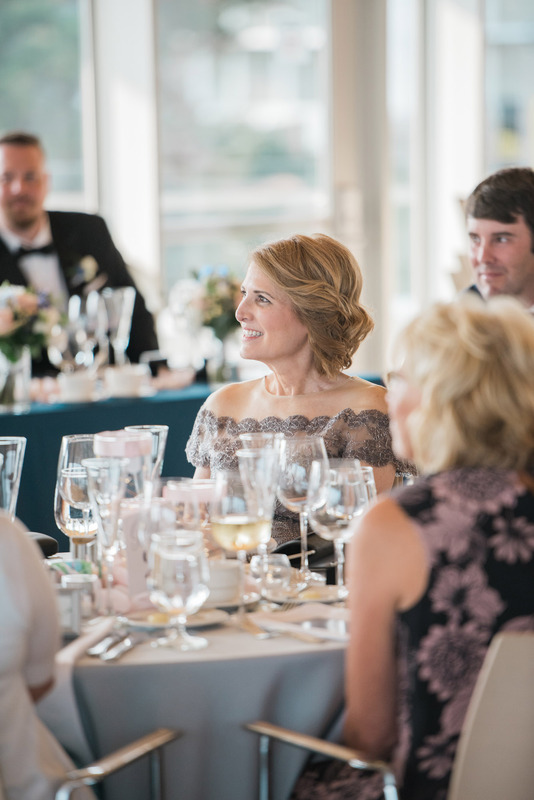 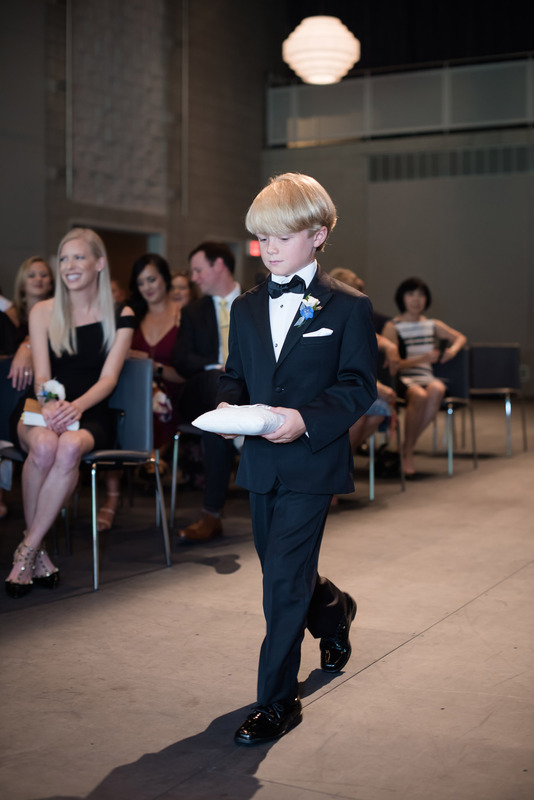 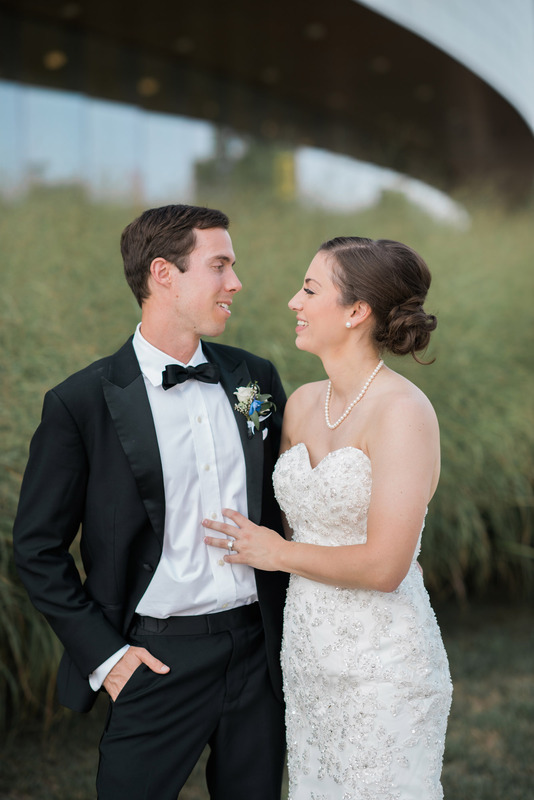 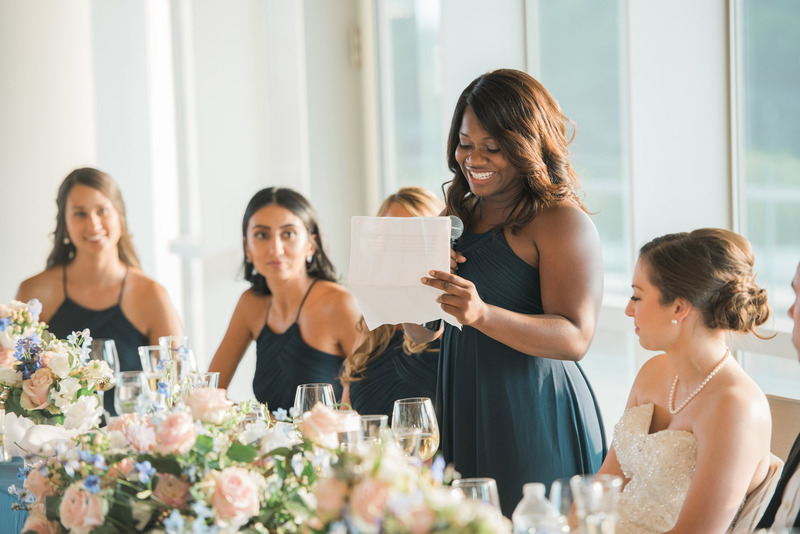 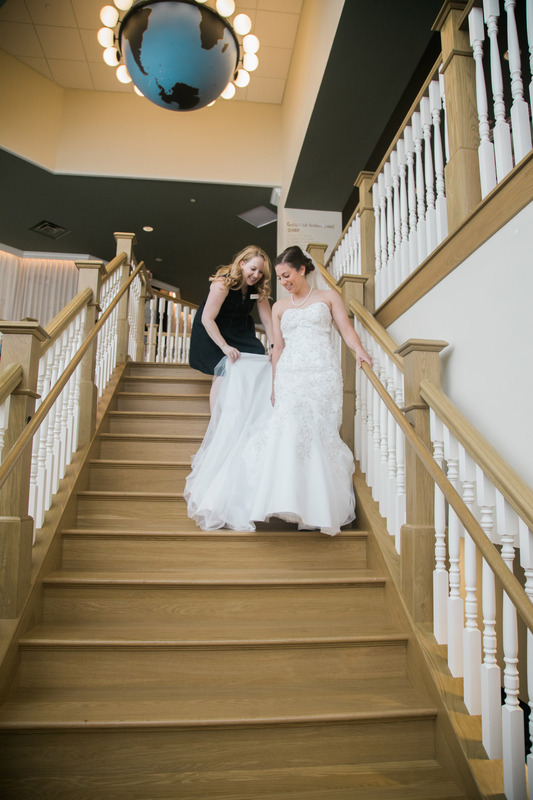 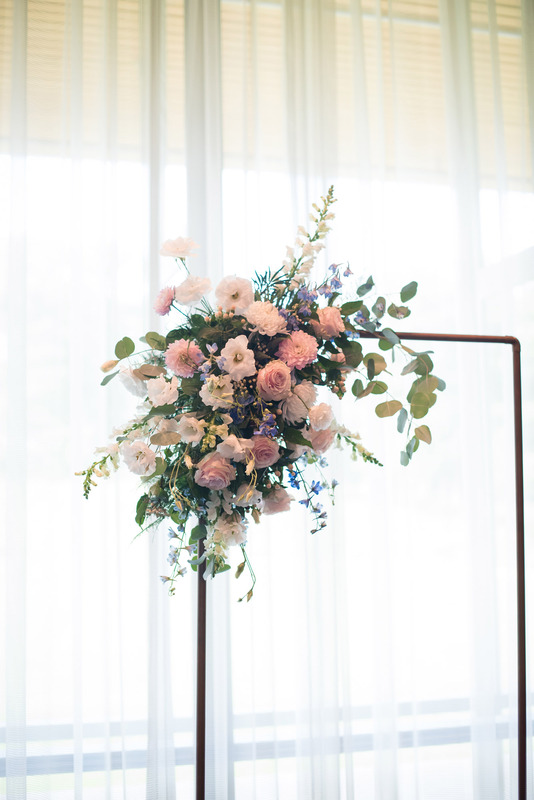 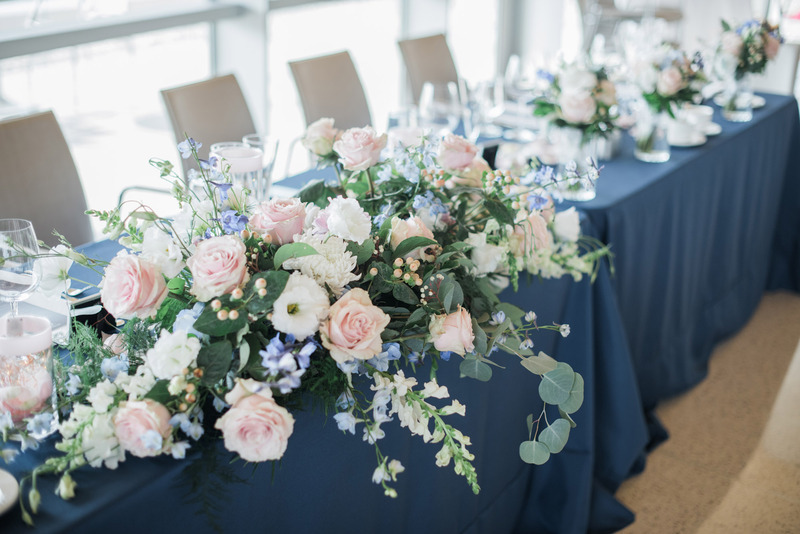 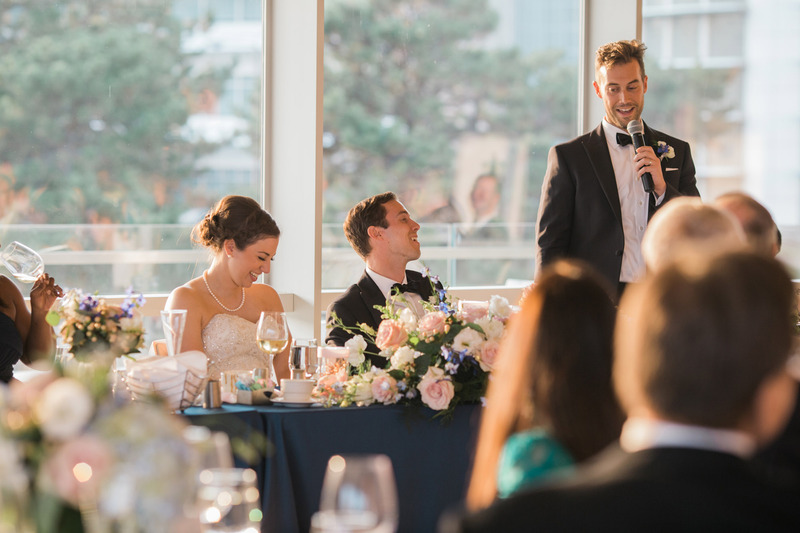 The Scher wedding had a contemporary and elegant feel with a soft palate of white, shades of blue, and a hint of blush pink. 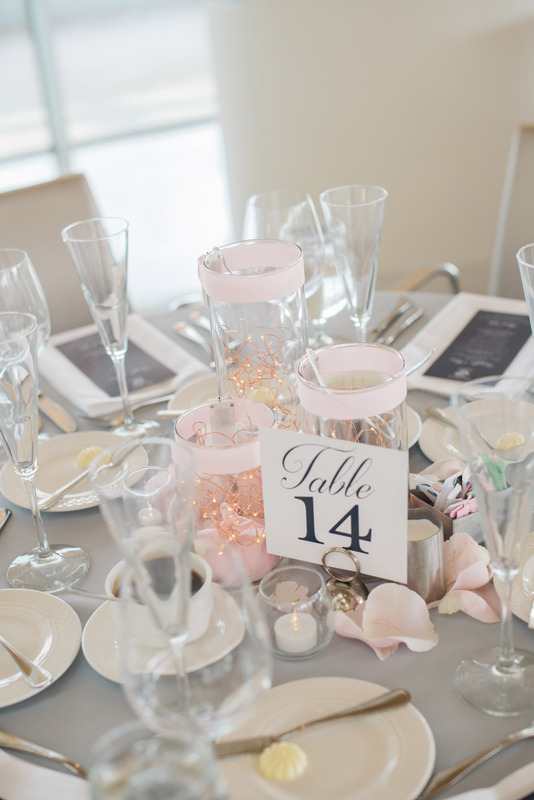 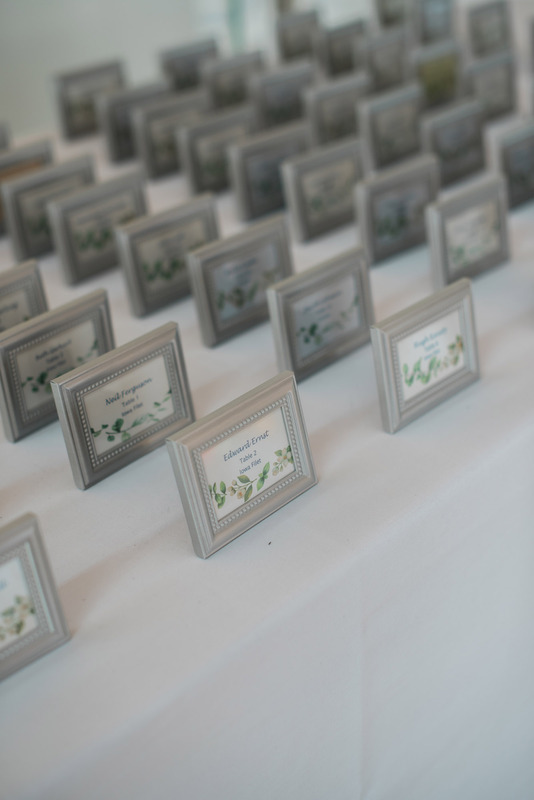 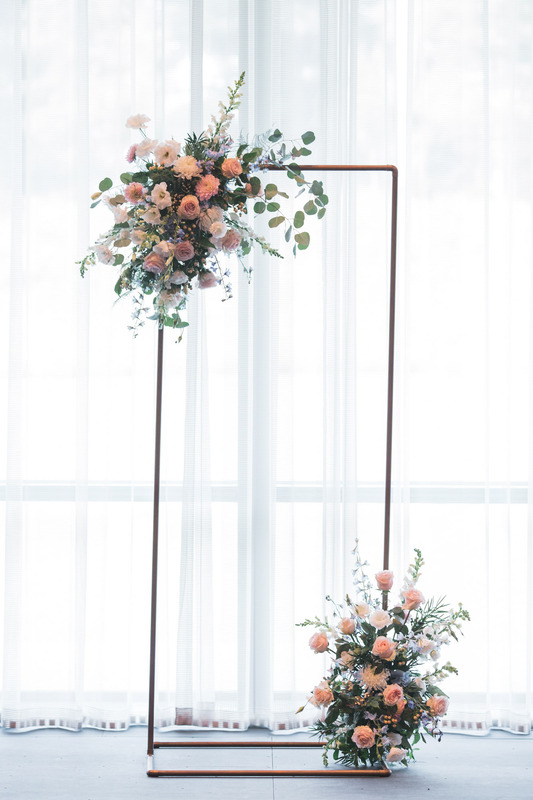 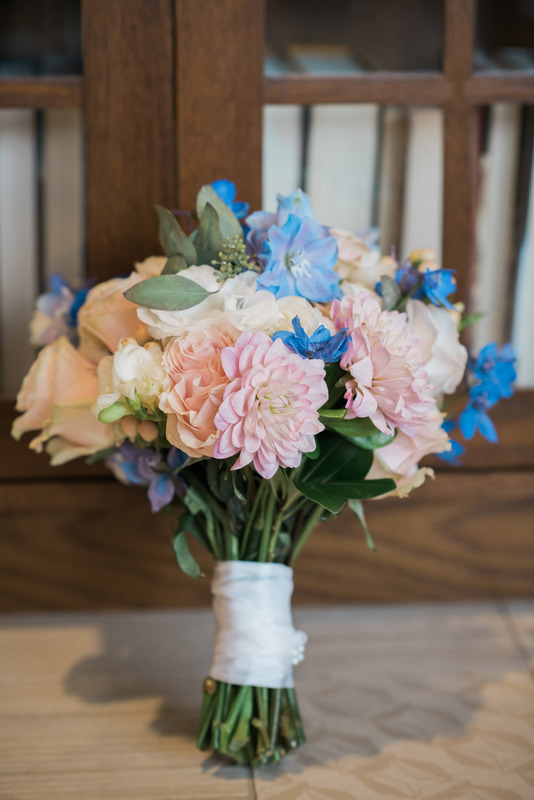 The reception had a variety of floral arrangements including glass cylinders with lights, mint julep cups with lush flowers, specialty linens on all of the tables, and thoughtful additions of stationery throughout. 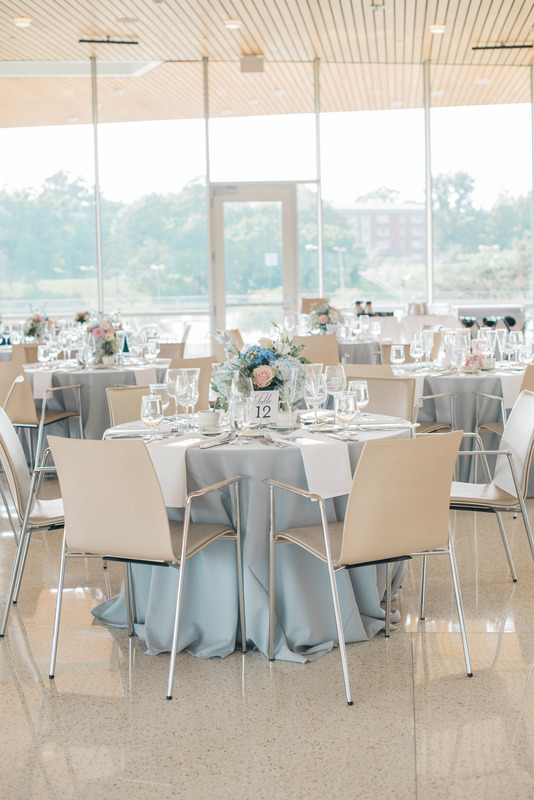 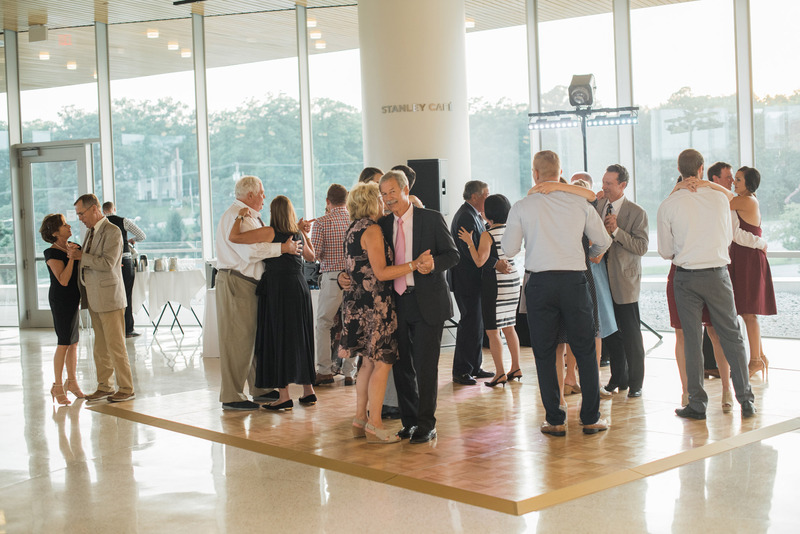 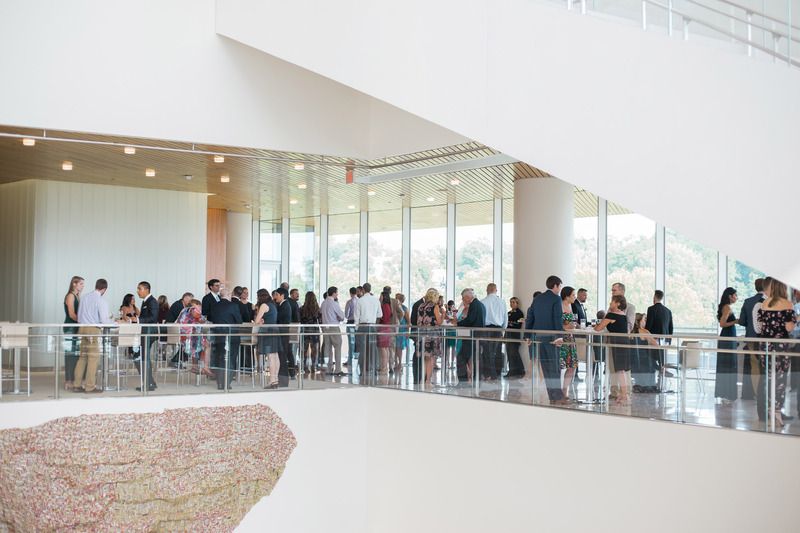 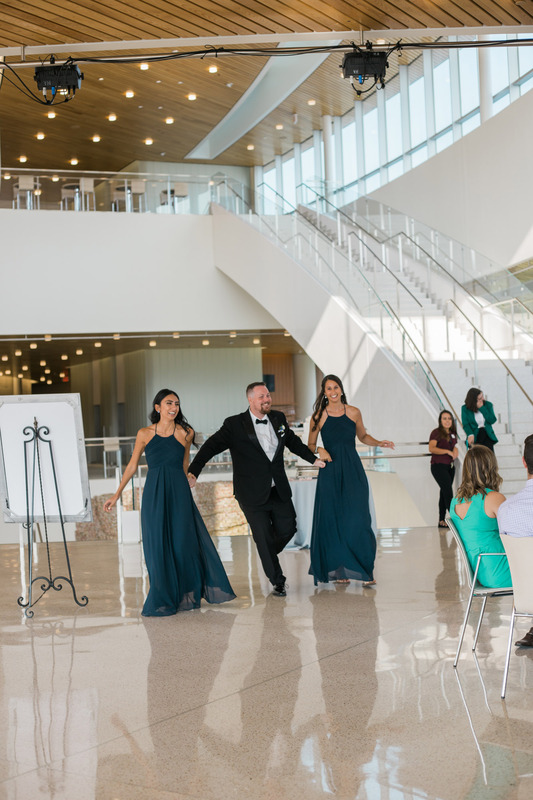 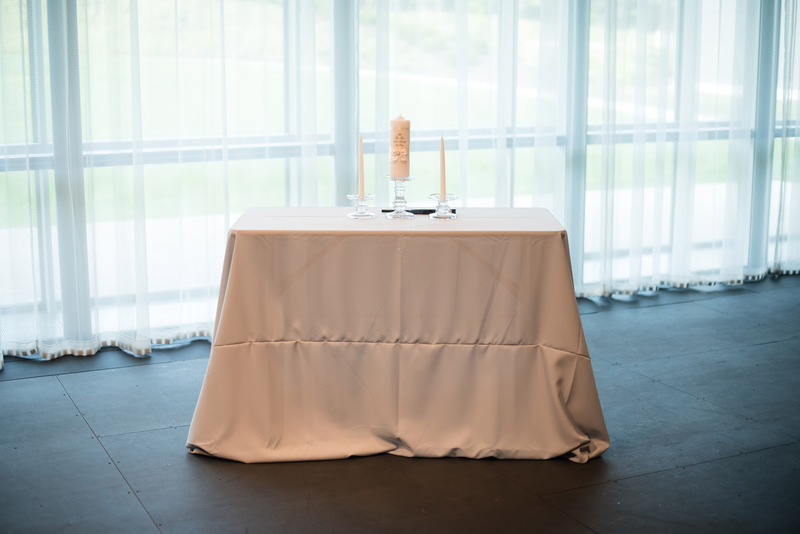 With Soiree’s eye for detail, the decor perfectly complemented Hancher Auditorium’s aesthetic. 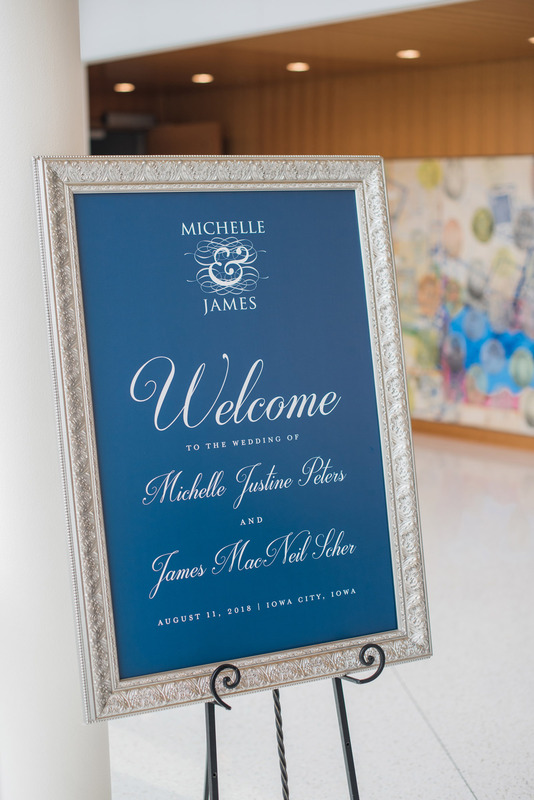 Michelle and James, we wish you a lifetime of love and luck in your future endeavors!